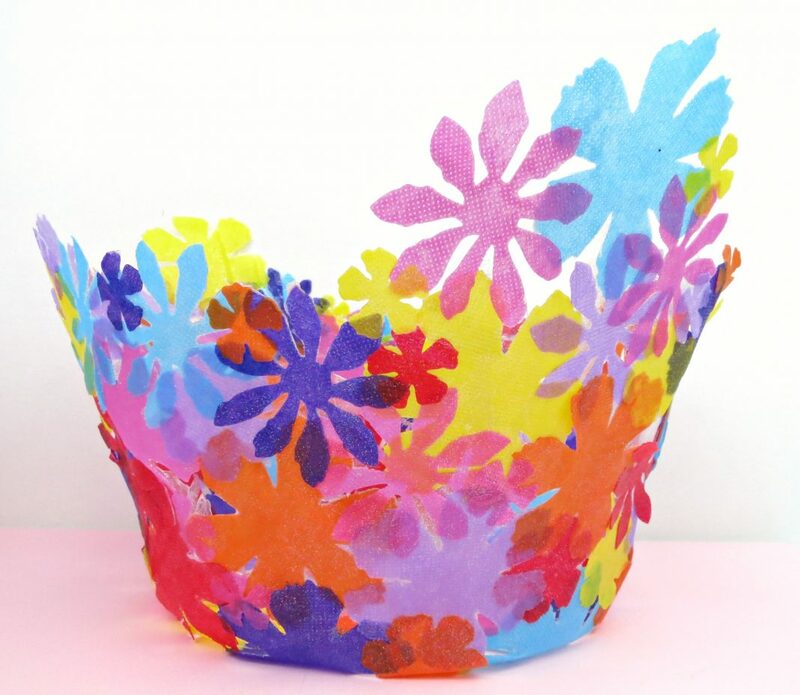 I love whimsical decor, and Easter is such a fun holiday to craft for because there are so many creative ways to make chicks and bunnies. 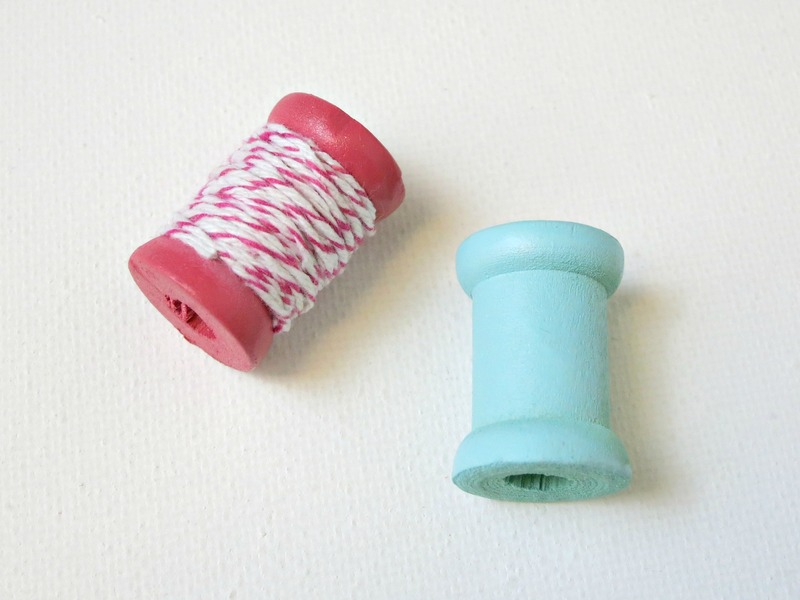 I’ve made several fun projects with tiny wood spools before, like these holders and these pincushions, and now I’m back with one more wood spool craft. 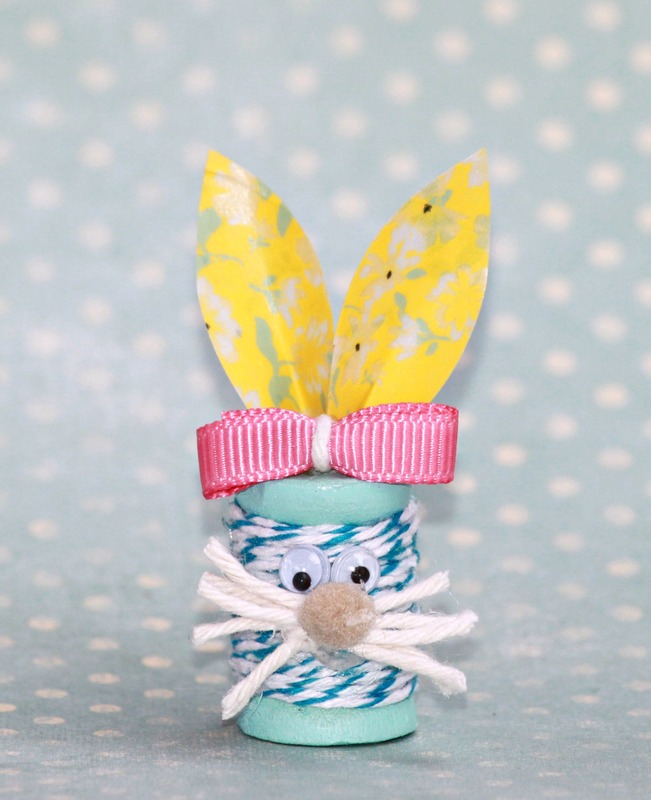 For this project I used tiny craft wood spools to make cute bunnies. 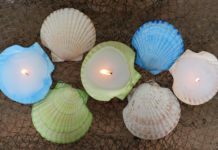 You can turn them into decor, place card holders, or even necklace pendants! Step one: Paint the wood spools any color. I used spray paint and painted a big groups of spools at a time. Step two: Wrap the spool with baker’s twine. I used a dab of hot glue to hold the ends in place. Step three: Use twine to make whiskers. Place three pieces of twine side by side, and tie with a fourth piece of twine. Trim the ends so they are even. 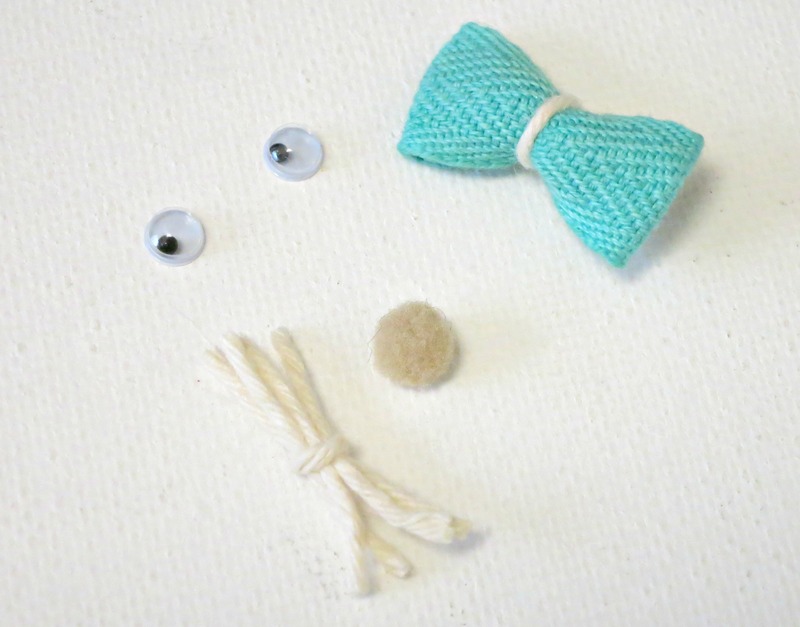 Fold over a bit of ribbon to make a bow tie, and use goggly eyes and a pom pom to finish the face. Step four: Use washi tape to make ears. 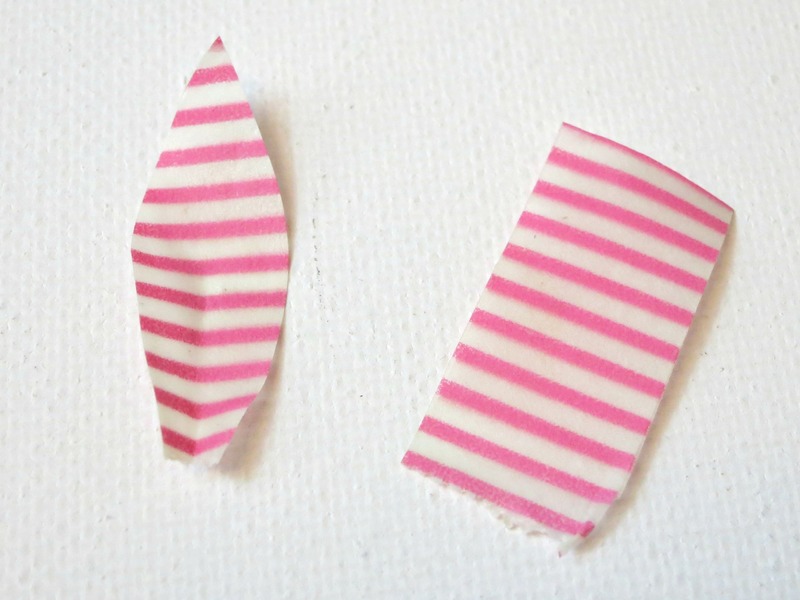 Fold a piece of washi tape in half, then trim into a bunny ear shape. 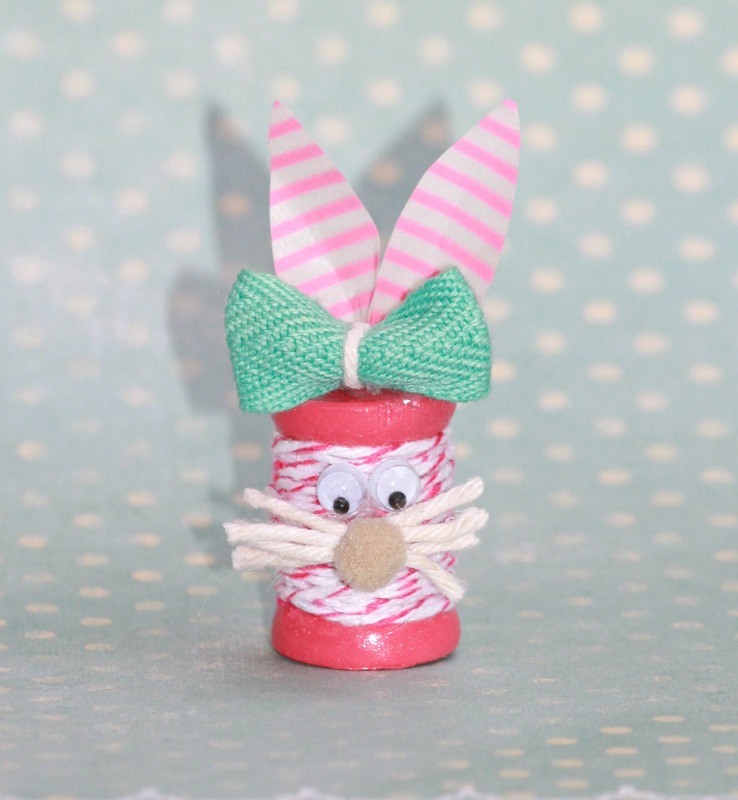 Glue all the pieces onto the face as pictured to bring your itty bitty bunny decor to life. I used a tiny dab of hot glue to attach the little pieces. 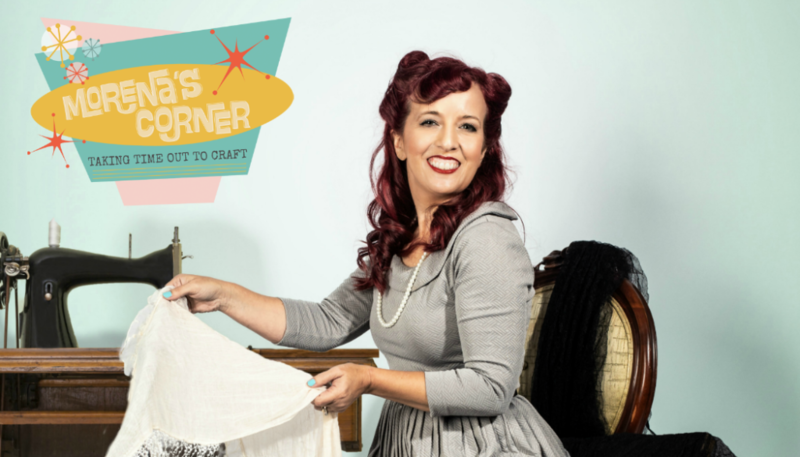 You could add a chain to make a fun necklace for Easter. 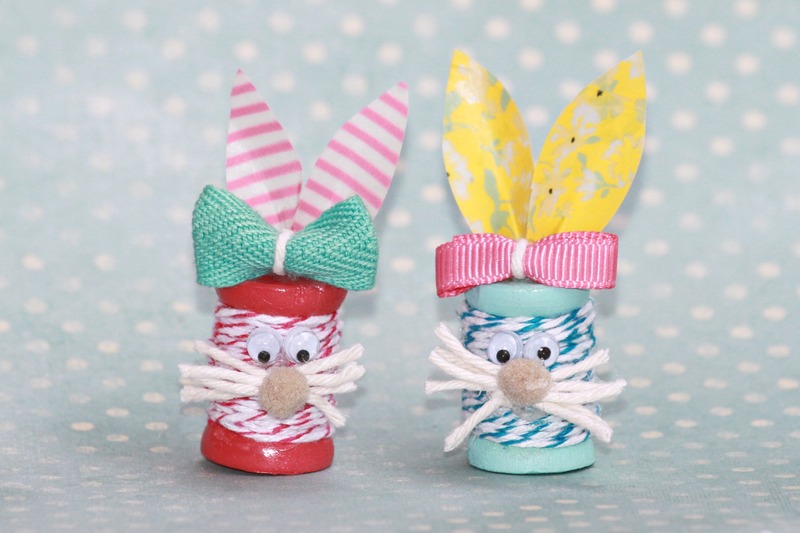 These bunnies would make great place card holders if you add a clip to the top. 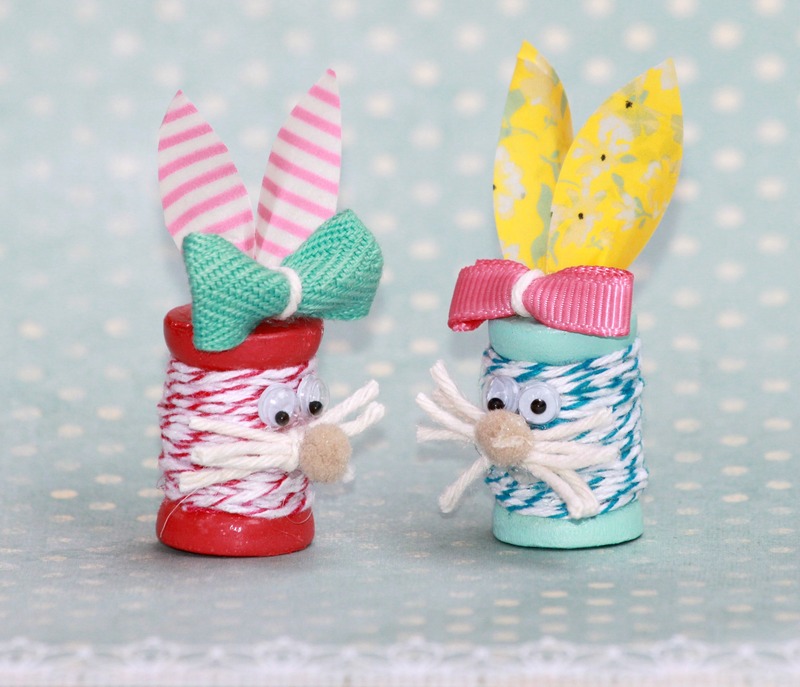 If you have larger wooden spools you can use yarn to make big bunnies to decorate a mantle with. 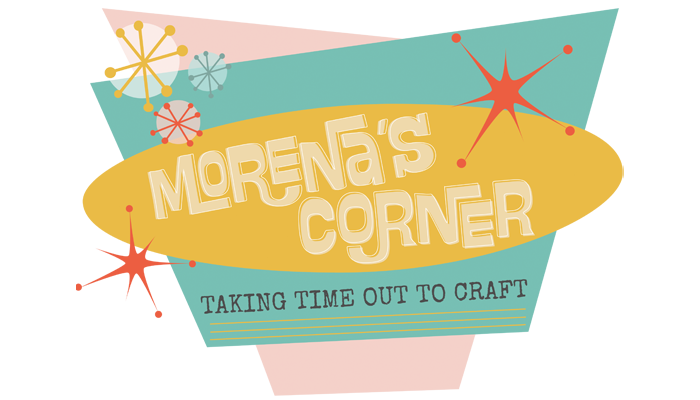 Have fun crafting and creating bunny decor for spring! 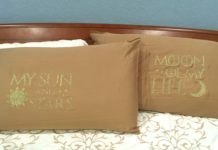 This post first appeared at Dollar Store Crafts, where I was a contributor.